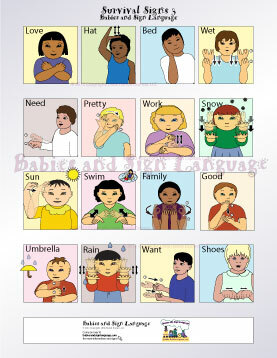 Use this poster to help your baby or toddler baby learn to sign basic vocabulary in sign language using this custom illustrated, highly-detailed chart from Babies and Sign Language! Viewing Survival Poster 3 of 3. See Survival Poster 1 or Survival Poster 2!